This weekend at New York Comic Con 2018, Starz surprised Outlander fans with an unannounced, first look screening of the premiere episode of Outlander season 4, which was introduced by surprise guest Diana Gabaldon, author of the Outlander book series. Gabaldon's panel attendance was not previously announced, which created an epic surprise for fans who also got to see her on the panel with cast and creators following the premiere screening. Moderated by Lola Ogunnaike, host of Entertainment Weekly the Show and PEOPLE Now, Outlander panelists included: Ronald D. Moore (executive producer), Maril Davis (executive producer), Diana Gabaldon (author), Caitriona Balfe (Claire Randall Fraser), Sam Heughan (Jamie Fraser), Sophie Skelton (Brianna Randall) and Richard Rankin (Roger Wakefield). 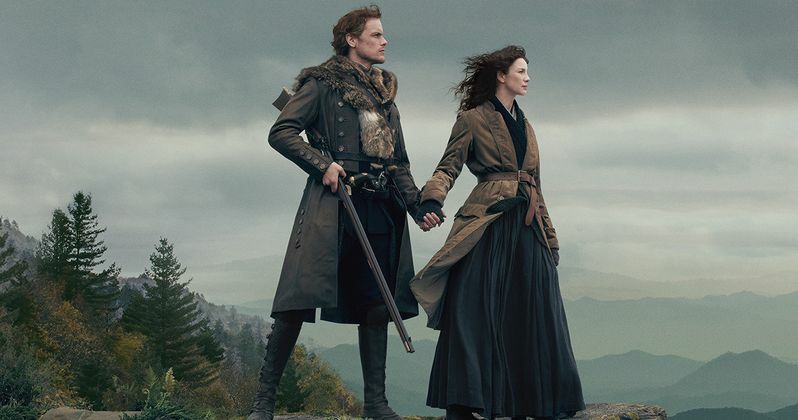 Starz also released sneak peek video footage of the opening title credits for Outlander Season Four, which showcases an updated rendition of the beloved series theme song and new footage from the forthcoming season, set in Colonial America. Outlander season four premieres on Sunday, November 4th at 8pm ET/PT on STARZ.